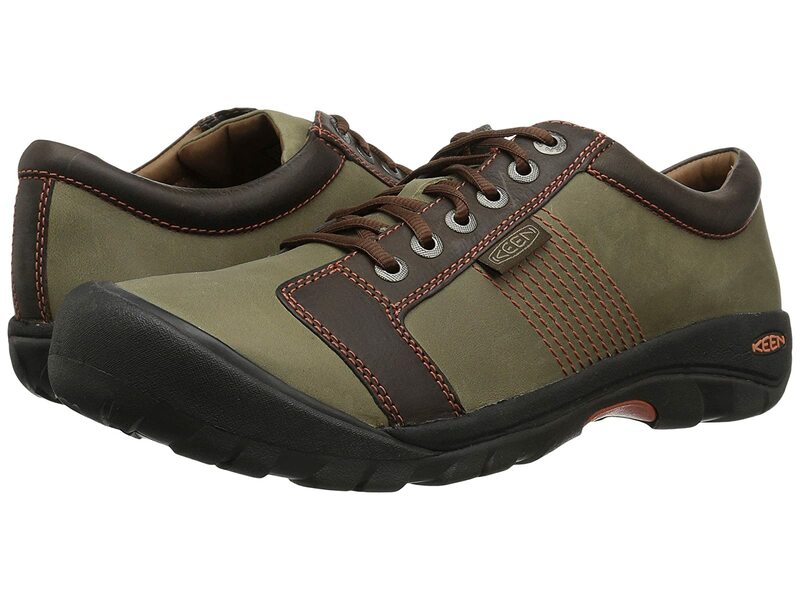 Hit the streets in the lasting comfort and everyday style of the Keen® Austin. Water-resistant full grain and nubuck leather uppers. Breathable mesh lining promotes a great in-shoe feel. Removable, metatomical, recycled foam footbed.